The Alberta Energy Regulator has spent more than $14,000 over the last year flying its chief executive from his home in British Columbia to meetings in Calgary and Edmonton. 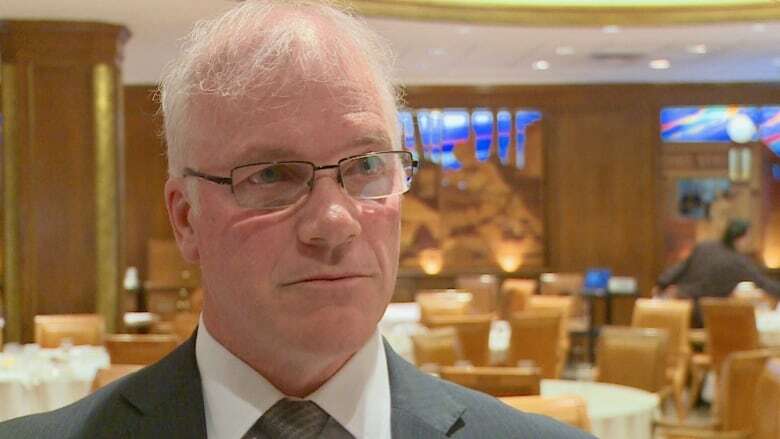 The chief executive of Alberta's oil and gas regulator no longer lives in the province and the organization is spending thousands of dollars to cover frequent flights from his home in B.C. to meetings in Calgary and Edmonton. Expense reports posted on the Alberta Energy Regulator website show that from last November until the end of October, the organization regularly paid for CEO Jim Ellis to fly from his home in Penticton, B.C. to Alberta. CBC News counted nearly 50 trips, mostly return airfares between Calgary and Penticton, to transport Ellis for the express purpose of attending AER meetings. A tally of those flights shows costs topping $14,600, not including airfare change fees. The AER board approved the arrangement earlier this year after Ellis moved to Penticton for "personal, family reasons." But a spokeswoman for the NDP government said it was disappointing to learn such expenses had been approved, adding the government has worked to rein in salaries and perks at provincial agencies, boards and commissions. "We'll continue to make sure dollars are well spent at government agencies and will be directing the AER not to allow this arrangement in the future," Kate Toogood said in an email. Ellis, who Albertans learned last week is leaving the position at the end of January after five years with the organization, did not file accommodation expenses while attending the Alberta meetings. The provincial government sets the budget for the AER but the industry itself funds the regulator through administrative fees. In a statement to CBC News, the AER said that Ellis initially paid for weekly travel to Calgary himself, using the cheapest fares available. "However, frequent changes to his itinerary caused by AER business resulted in increasing change fees," it said. "The AER considered reimbursing Mr. Ellis for these ongoing costs, but concluded that it would be more cost effective to simply coordinate and pay for his travel. "The AER Board therefore reached an agreement, which came into effect at the beginning of this year, to pay for weekly travel. This arrangement was also independently vetted by the AER's Finance department." The AER said it does not pay for any other travel or accommodation expenses related to this arrangement. All of these travel expenses are available on the public record and are documented on the AER website. According to the regulator's financial statements for the year ended March 31, 2018, Ellis is paid a base salary of $525,000. Total compensation is stated as $728,000, including cash and non-cash benefits. The next person to hold the job will be paid a maximum base salary of $396,720 due to changes in provincial regulation. Peter Bowal, an expert on board governance at the University of Calgary's Haskayne School of Business, said paying for people to regularly commute from one province to work in another creates both practical and symbolic issues. "It's a personal decision where you live and the province you choose is a personal decision," Bowal said. "I think if you've chosen to take one of the top jobs in the province you have to make a commitment to that province." At the federal level, Bowal said people appointed by cabinet to a top, full-time job at an agency are required as a term of that appointment to live within the national capital region or a reasonable commuting distance. "I think it's basically understood in the province — if it's not explicitly stated, it would be probably implied — that one has to live fairly close to where they work, especially top management," Bowal said. Former MLA and oilpatch executive Donna Kennedy-Glans described the travel expenses as "insensitive" and said even though the amount is not extravagant, she is surprised it wasn't recognized as an issue. She said industry and the public would want the head of the regulator living in the province, not somewhere else. "Frankly, why isn't the head of the AER living in the province? We do need to understand that a bit," said Kennedy-Glans. "It does matter to people where you live." It was announced last week that Ellis would be leaving his post atop the AER at the end of January. Prior to his appointment in 2013, he'd held deputy minister positions in the Alberta government, serving in the departments of energy and environment.